Denmark, Finland, Iceland, Norway, and Sweden today all enjoy a reputation for strong labour movements, which in turn are widely seen as part of a distinctive regional approach to politics, collective bargaining and welfare. 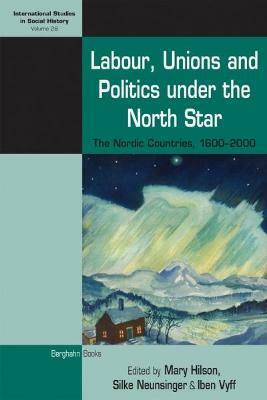 But as this volume demonstrates, narratives of the so-called "Nordic model" can obscure the fact that experiences of work and the fortunes of organized labour have varied widely throughout the region and across different historical periods. Together, the essays collected here represent an ambitious intervention in labour historiography and European history, exploring themes such as work, unions, politics and migration from the early modern period to the twenty-first century. Mary Hilson is Professor of History at Aarhus University, Denmark.Silke Neunsinger is Associate Professor in Economic History and Director of Research at the Swedish Labor Movement Archives and Library.Iben Vyff is Head of Communication at Elsinore Museums, Denmark.